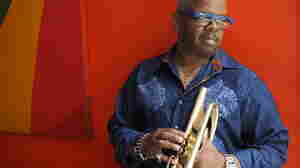 February 15, 2019  Trumpeter Terence Blanchard has career spanning three decades in both jazz and film scoring. We dive into his work with Spike Lee, his E-Collective band and a new commission. March 22, 2018  Blanchard's new record LIVE focuses on black art and black lives. 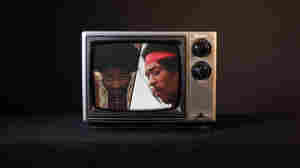 For this Jimi Hendrix homage, he puts down the trumpet and pitch-bends the mournful melody on synth. March 6, 2017  How do you attract a more diverse audience at the opera? One answer is to produce operas with characters that look more like the general citizenry. August 5, 2015  The New Orleans trumpeter wasn't thinking about Eric Garner, Michael Brown or #blacklivesmatter when he first assembled this funky new band. But then it became a way to ward off despair. August 28, 2014  In three collaborations in the late 1950s, Gil Evans and Miles Davis steered their projects into a new era for jazz. 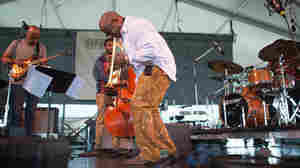 Terence Blanchard plays Davis' role with commitment and emotion in this set. December 18, 2013  We asked 137 jazz journalists to pick their favorite albums that came out this year. Out of over 700 nominees, here are their collective top 50 picks, along with top finishers in the Latin jazz, vocal, debut and reissue categories. August 4, 2013  As a whole, the trumpeter's high-functioning band reliably serves up modernism as post-bop jazz. 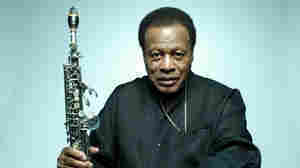 It welcomes a guest turn from guitarist Lionel Loueke, making this band a rare six-man quintet. June 15, 2013  The jazz composer's latest project is an opera based on the life of Emile Griffith, a gay boxer who became a world champion in the 1960s — at a price. October 21, 2009  The New Orleans trumpeter's newest CD, Choices, delves into choices we make as individuals and as a society. He returned to his hometown to record the project, and continues to ask questions about the aftermath of Hurricane Katrina. 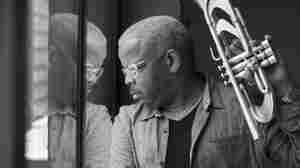 August 24, 2009  Jazz trumpeter Terence Blanchard is a throwback to the socially engaged jazzman of the 1960s: He's as wrapped up in politics and society as he is in scales and improvisation. His new album, Choices, ponders questions about free will and personal responsibility. February 15, 2008  Terence Blanchard, an internationally renowned jazz trumpeter, has composed music for all of director Spike Lee's films — from Malcolm X to Inside Man. He talks to Farai Chideya about the relationship between music and the movies. October 25, 2007  The latest CD from New Orleans trumpeter and composer Terence Blanchard is A Tale of God's Will, whose subtitle is "A Requiem for Katrina." Parts of the recording were heard in Spike Lee's HBO documentary When the Levees Broke. 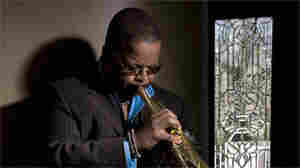 May 17, 2007  Terence Blanchard was born in New Orleans — a place where it means something to take up the trumpet. 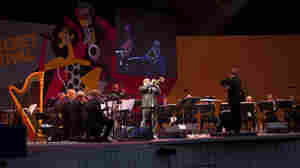 The trumpeter honors the legacy of jazz legend Louis Armstrong at the 2007 University of Michigan Jazz Festival recorded by JazzSet. October 4, 2007  Herbie Hancock, Wayne Shorter, Joshua Redman, Patti Austin and Stevie Wonder celebrate the Institute that offers young musicians college-level training from the masters. The namesake — Thelonious Monk — was born October 10, 1917, and would be 90 this fall. Hear the concert. September 23, 2007  Players from 17 high schools were chosen for the Monterey Next Generation Jazz Orchestra. After studying to perform some of the most challenging big-band music available, the high-school all-stars perform alongside Terence Blanchard at the Monterey Jazz Festival. August 16, 2007  Born and raised among the jazz greats of New Orleans, renowned trumpeter Terence Blanchard captured the city's devastation in his film score for Spike Lee's When the Levees Broke. He discusses his latest project, A Tale of God's Will (a requiem for Katrina). August 14, 2007  Part of jazz trumpeter and composer Terence Blanchard's A Tale of God's Will served as the soundtrack to Spike Lee's When the Levees Broke documentary about Hurricane Katrina. Blanchard shares two solo piano performances with WBGO's Josh Jackson. May 6, 2007  Occasionally a music DVD comes along that exceeds expectations. Shanda, a documentary about Zimbabwean musician Oliver Mtukudzi, and Flow,a look at the jazz of trumpeter Terence Blanchard, go the extra mile. 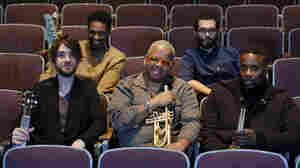 July 18, 2005  Jazz trumpeter Terence Blanchard talks about his new, younger sound and his band's latest CD, Flow.